It's very rare for me to read a horror novel, but when I first heard of Jac Jemc's THE GRIP OF IT, I knew this was a horror read I had to try for myself. THE GRIP OF IT is an excellent choice for hesitant horror readers—this is not your typical horror read: there are no blood and guts, and very few moments of in-your-face shock. Rather, THE GRIP OF IT is a literary blend of horror tropes with domestic suspense - a smart and subtle examination of the secrets and tensions that can haunt an ordinary couple. While THE GRIP OF IT won't work for horror readers looking for their next twisted and bloody read, it's a worthy addition to the library of any reader interested in literary fiction with a chilling twist. Now, I may not read a lot of horror, but I do love a good horror movie, and find myself intrigued by horror novels with instantly-recognizable subject matter. What intrigued me first and foremost about THE GRIP OF IT is its take on the classic haunted house story. In THE GRIP OF IT, a young couple fulfills their dream of becoming homeowners: they move out of the city and purchase an older home in a quiet, rural town. But of course, as any horror fan could predict, things aren't what they seem: this old house appears to have plans of its own for our main characters. The premise of THE GRIP OF IT might sound familiar to horror aficionados, but I can confidently promise that this story won't develop as you might expect. Yes, there are strange occurrences and things that go bump in the night, but where THE GRIP OF IT shines is in its subtle exploration of the tensions that can develop between two people. Set against a horror backdrop, THE GRIP OF IT is arguably best classified as domestic suspense first, literary horror second. Where readers might assume, based on the book jacket and plot summary, that this book will focus on the scares and chills of a classic haunted house story, THE GRIP OF IT diverges. The "haunted house" elements of this book are secondary to its interpersonal suspense. As husband and wife begin to experience the inexplicable, the fault lines in their marriage begin to widen. Can they trust one another? Can they trust themselves? The "haunting" of their house will test their marriage - and their self-perception - in ways that reflect the best of modern domestic thrillers. The haunted house at the center of Jemc's novel is a vehicle through which the author explores the same interpersonal dynamics that have come to define the domestic thriller genre—albeit with a chilling dose of the supernatural on the side. Beyond this story’s unique blend of classic horror tropes and modern suspense themes, author Jac Jemc delivers a masterclass in writing genuinely affecting prose. From a linguistic standpoint, THE GRIP OF IT is wholly original and unique. Jemc’s language is rich and vivid, drawing the reader into the surreal experience of the story’s main characters. As the main characters experience darkness closing in around them, Jemc’s writing reflects their confusion. Perhaps the most affecting scenes of this book are those in which the main characters experience the warping of reality and physical space—trees encroaching on their property, secret rooms swallowing them up in their own home, water threatening to drown them. Jemc describes these scenes in genuinely beautiful language that’s just surreal enough to illustrate the horrors the characters are experiencing. Readers won’t be able to tell what’s real and what’s imagined - and I suspect that’s just how the author wishes it. To top it all off, Jemc manages to achieve all of this while still maintaining a brisk pace. I devoured THE GRIP OF IT—readers will be hard pressed to read this book slowly. As always, it’s important to go into this book with the right expectations. If you are a fan of blood-and-guts horror novels and are hoping to find your next horror read here, THE GRIP OF IT will very likely not suit you. 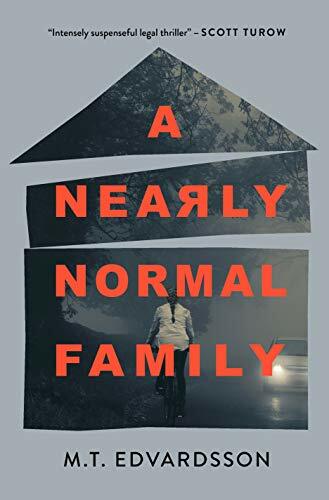 The “horror” angle of this book serves primarily as a filter through which a couple’s secrets and tensions play out; there are actually limited moments of genuine shock value in this story, and many of the horror elements are more subtle than I had expected them to be. If you’re a reader of domestic suspense or literary fiction looking for a book that will push your boundaries and expose you to something just a bit different, THE GRIP OF IT might be the perfect choice. Original, affecting, and intelligent, THE GRIP OF IT is a chilling palate cleanser and a tense story of a couple haunted by their own secrets, and possibly by their brand-new home, too.